When it comes to mastering the next big trend, no fast-fashion brand gets it quite like Zara. But, ever so often, the retailer goes even further, combining the must-haves of the moment to create something totally new and unexpected. Sure, we never knew we needed these new shoes before, but we are suddenly desperate to own this Frankenstein-like creation. Zara's latest amalgamation takes two reader favorites, sneakers and the ballet trend, and combines them into the next It footwear: ballerina sneakers. 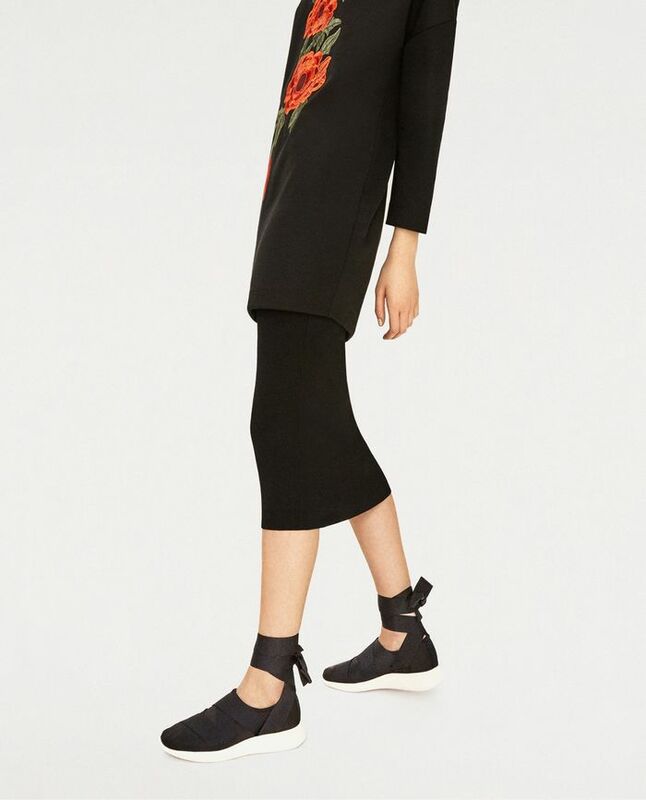 From the moment we spotted the lace-up sneaker on Zara's website, we knew this design was going to fly off the shelves (both physical and digital). The lace-up sneaker takes the athleisure trend and adds a feminine twist. And while we wouldn't recommend heading out on a jog in the new design, they're great for the office or even weekend brunch. Style them with your favorite cropped jeans or a floral dress, and you're good to go. Have we sold you yet? Read on to check out the new shoes, and then pick up a new pair of kicks yourself! These sporty sneakers have a feminine touch. If classic sneakers are your style, this pair is for you. Sateen is an unexpected twist on this simple footwear. If your sneakers need to go from workout to work, this style makes the cut. Would you wear Zara's ballerina sneakers? Let us know in the comments!